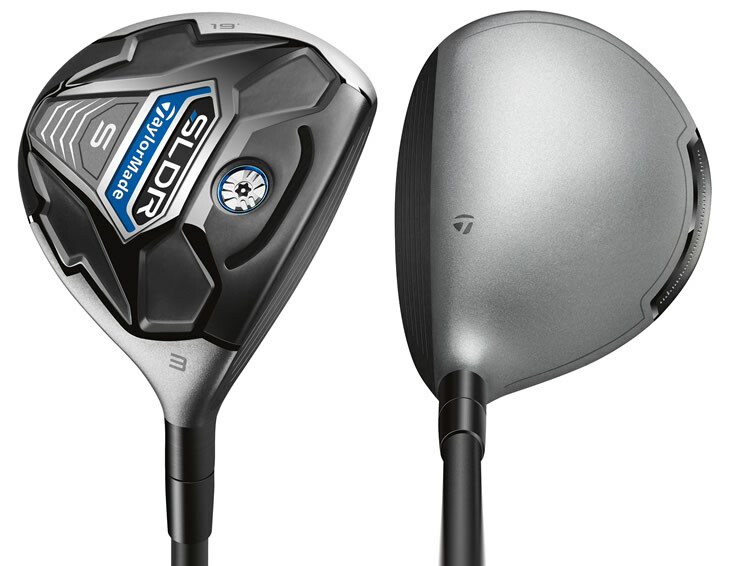 As well as launching the new, lofted-up SLDR S driver, TaylorMade have released a new line of fairway woods and hybrids. The SLDR S metalwoods are "engineered to provide distance for golfers of all abilities and swing speeds". The SLDR S fairway wood is available in five lofts from 15 to 23 degrees. Unlike the original SLDR fairway, TaylorMade have done away with stronger 14-degree model and added a 23-degree 7-wood. Each new SLDR S is fitted with a lighter, Fujikura Speeder 65-gram shaft available in 4 flexes. Golfers were asking for an SLDR fairway that has a lower and more forgiving profile. The SLDR S fairway has a shallower face and larger head size engineered to deliver distance and playability. Combine that with a stunning satin silver crown with black button back for easy alignment and you have a club that inspires confidence and great results. Featuring the same satin silver crown colour, the SLDR S fairway feature a larger footprint and shallower face height than the original SLDR fairway woods. The 15-degree 3-wood in SLDR S is 165cc compared to 155cc in the original. TaylorMade say this new shape makes the SLDR S a little more playable, for a wider range of golfers. 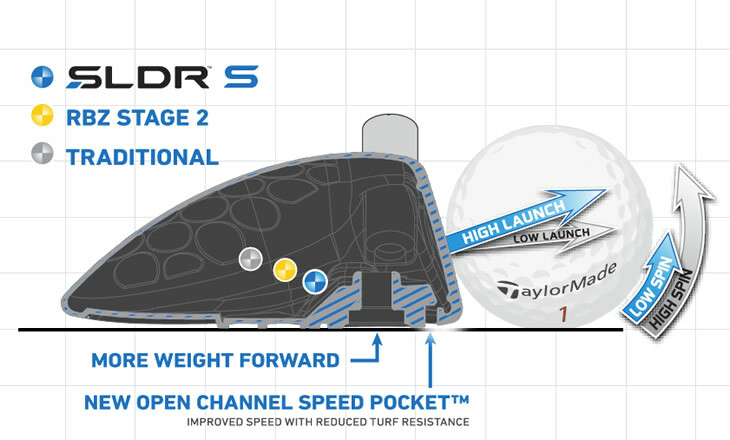 This graphic below from TaylorMade shows how centre of gravity in the SLDR S is now lower and nearer the face. This CG position helps increase the initial launch and lowers the spin rate which, when used with the correct loft, will increase distance.